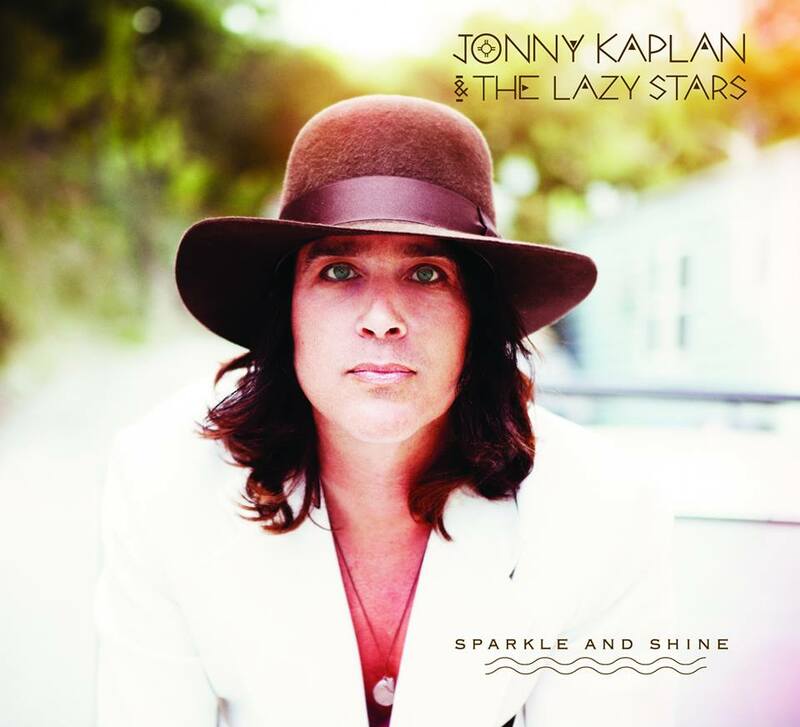 From Southern California comes the good, straight-up rock of Jonny Kaplan & The Lazy Stars with the release of their new album "Sparkle And Shine." The album took almost six years to make, following the motorcycle accident of band lead Jonny Kaplan. It took the help of fellow band member and keyboardist Rami Jaffee (The Wallfowers) to get Kaplan back into the studio. This album also features a load of friends including Adam MacDougall (The Black Crowes), Brad Smith (Blind Melon), Jessy Greene (Foo Fighters) and actress Daryl Hannah. The album begins with the title song as the music is so pure without the need for anything extra. This song could have just as easily been on a Tom Petty album. Kaplan and his band get down and dirty on the blues rocker "Annalee Meets The Scorpion," before heading to more familiar territory on the Americana-feel of "Helena's Afraid." The wonderful acoustics of "When You're Down" is one of the two songs that feature Daryl Hannah's harmonizing vocals. The other song featuring Hannah's voice is the gentle folk-poetry of "Always." The album closes with the storied lyrics of "Pretty Little Nose," amongst a soothing backdrop of acoustic instrumentation. Jonny Kaplan & The Lazy Stars currently have no live dates scheduled, but look for the new album to arrive on September 24 through Reckless Grace Music. For more information, please visit jonnykaplanmusic.com. I was lucky enough to obtain an early copy of these recordings, and the entire work is awesome. Check it out as soon as you can. You won't be disappointed. I too heard some early tracks....amazing CD.....you will not be disappointed!